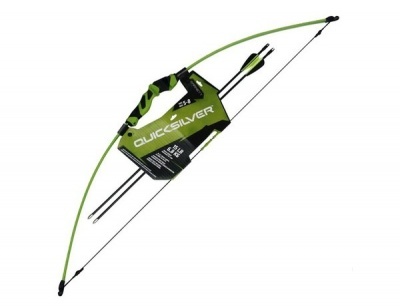 Bring new archers into the fold with the Quicksilver™ recurve bow. A light 15-pound draw weight and ambidextrous riser make this a great introductory bow for ages 5 through 8. Includes finger rollers, two arrows and an adjustable sight pin.